It took 2 satellites 16 days to create the original image. Fortunately it is in the public domain so It is fine to use it. 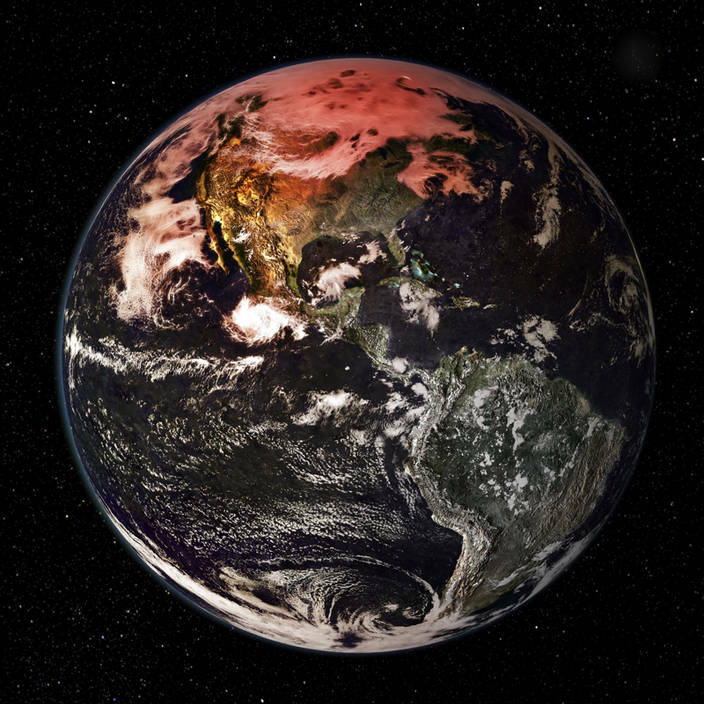 Rather than the traditional Blue Marble I wanted to age the earth and give it an apocalyptic look. 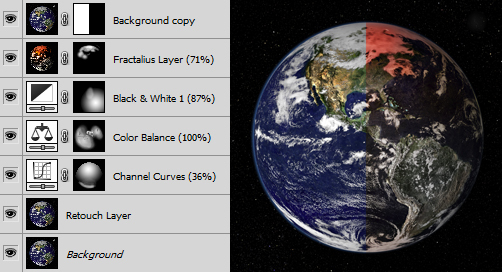 I used adjustment layers with masks to alter different areas of the planet. I then reduced the opacity of each layer until they looked suitably polluted or deforested.